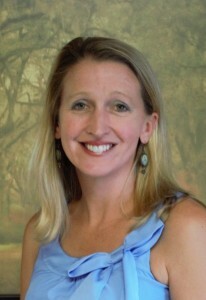 Alison Hicks is a Family Nurse Practitioner with Innovative Family Care in Cookeville. She has practiced since 2001 in the Middle Tennessee area, both in McMinnville and Sparta. Alison is excited to now be practicing close to home in Cookeville. Alison graduated as a Whittle Scholar from the University of Tennessee – Knoxville with a Bachelor’s of Science in Nursing and a Master’s of Science in Nursing. Alison enjoys caring for people across the lifespan, from newborns to the elderly. In addition to managing multiple chronic illnesses and acute care, Alison has extensive experience in gynecological care and treatment of depression. Alison grew up in Lascassas, Tennessee; her extended family now reside in Centertown and Murfreesboro, Tennessee. Alison and her family have lived in the Cookeville area since 2004. Their Christian family at Collegeside Church of Christ is what drew them here. Alison and her family are active with the young families and Kidside program there, and are blessed by their spiritual brothers and sisters. Alison’s husband, Chris, also works as a Family Nurse Practitioner in Crossville. Alison and her husband have two children, a daughter named Ella and a son named Walden, who they homeschool. Alison and her husband enjoy coaching soccer, hiking, talking politics, and traveling anywhere on the globe. Alison states she has grown immensely in experience over the past several years. Being strong in her profession, she feels blessed to serve in her role. Building strong relationships she forms wtih her patients excites her about the future. Alison is eager to aid in developing more effective measures to care for communities. Alison values the opportunity to work with patients to improve their lives holistically and encourage them in their progress.